If you can't plant a real tree in your dorm room, you might as well add this Folk Tree - Peel N Stick to your college dorm room decor supplies. Trees are a part of everyday life and they absolutely should be a part of your college dorm room. This Folk Tree - Peel N Stick is a cute dorm room decorating idea that will be as easy to look at as it is to stick on and peel off! With Peel N' Stick, your tree sticker will leave no messy residue behind. If you feel like moving your tree to another place in your dorm room, you can do it! The Folk Tree - Peel N Stick is removable and re-positionable. 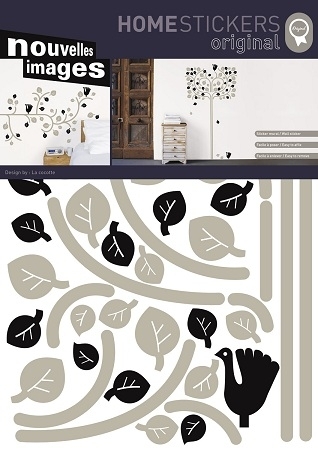 The flexibility of this Folk Tree - Peel N Stick makes it the best dorm room decor idea ever! You get versatility that guarantees safe dorm room use. 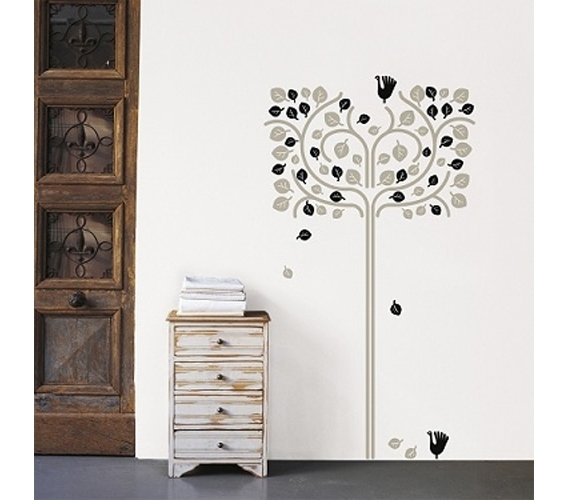 Add this Folk Tree - Peel N Stick to your college essentials and have fun "planting" a tree in your dorm room.